For a democratic secular Iran. 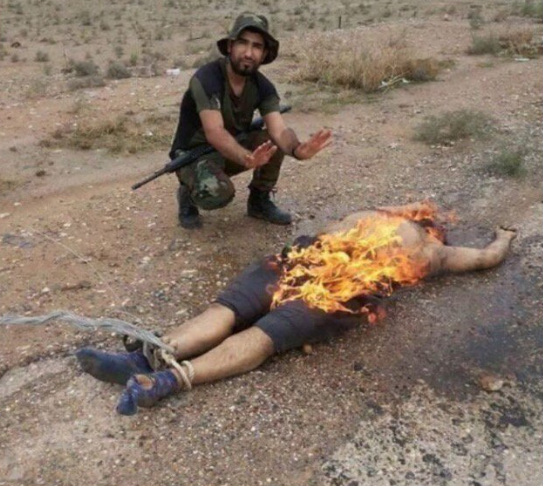 For peace and prosperity in the Middle East. : Enemy of the US State Dept! Enemy of the US State Dept! Darya Safai, shown in the picture on the left, is a passionate Iran volleyball fan, who attends all the Iran international volleyball matches played outside Iran. As well as an enthusiastic volleyball fan, Darya is also a tireless peaceful civil rights campaigner for Iranian women to be allowed to enter the volleyball stadiums in Iran. A basic right that has been denied to Iranian women in recent years. Apart from an ardent volleyball fan and women's rights campaigner, Darya is also a successful dentist, a wife, a mother of two children, and a very charming pleasant woman, but she is also, it seems, an enemy of the US State Department which is trying to cuddle up to the Islamic Republic of Iran by what the US State Dept likes to think of as its "Volleyball Diplomacy" with Iran - a crass replica of the "ping-pong" diplomacy with China, in yet another pathetic attempt to "change the behaviour of the Iranian regime"! 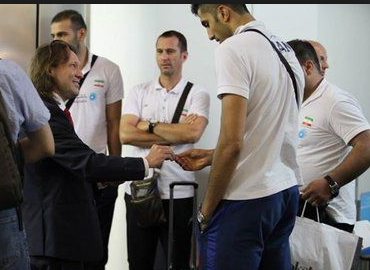 In 2014, when Iran volleyball team played a friendly match against the US, Greg Sullivan, [seen in the photo] from the US State Dept, hoping that he would win favours from the Islamic Republic, sent a "warning" to Lori Okimura, chairwoman of USA Volleyball federation, that some kind of violent disruptive Iranian saboteur will be attending the match! Okimura had the impression, based on the State Department's message, that Darya was an "agitator of sorts who could potentially cause trouble" but when Okimura met Darya, she realised the US State Dept warning could not have been further from the truth. During that friendly match, Okimura had her first run-in with Iranian gender politics. At the State Department's request, according to Okimura, USA Volleyball flew in a male delegate from its headquarters in Colorado Springs for the various ceremonial gatherings between Iranian and American officials, effectively replacing Okimura due to her gender, even though she lives in the Los Angeles area. "When they found out that the president of USA Volleyball was a woman," Okimura recalled, "they asked for the other guy." This is the sad state of affairs after 8 years of Obama administration, that a secular women's rights and peaceful civil rights activist is seen as a threat and the Mullahs in Iran along with their Shia militia in Iraq are regarded by the US State Dept as their new allies! !